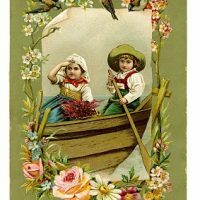 Vintage Graphic – Boy in Hot Air Balloon! 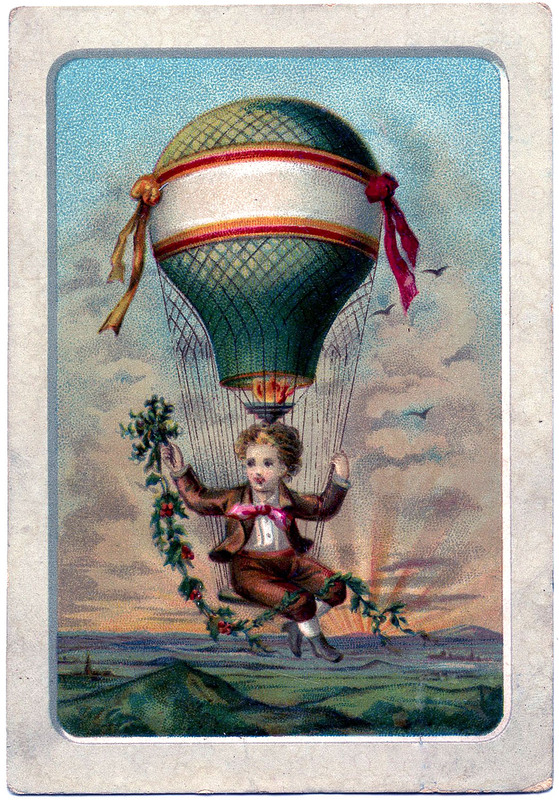 This a sweet little card showing a young Boy flying in a Hot Air Balloon. 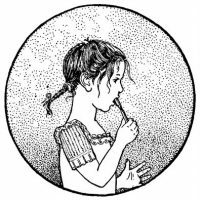 Such a whimsical piece! The Balloon has a blank area on it, where you could add a message. Charming! Thank you Karen this is fabulous.